Disease may be due to animalcules. 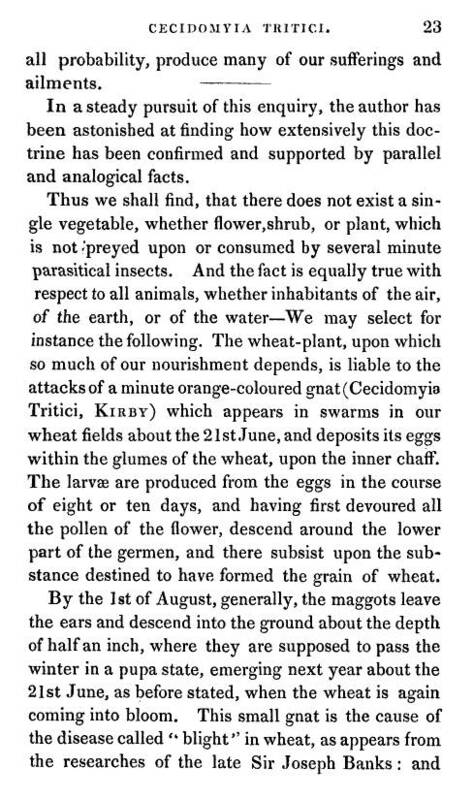 This is the doctrine that the continued discovery of small organisms resulted in during the early 1800s. 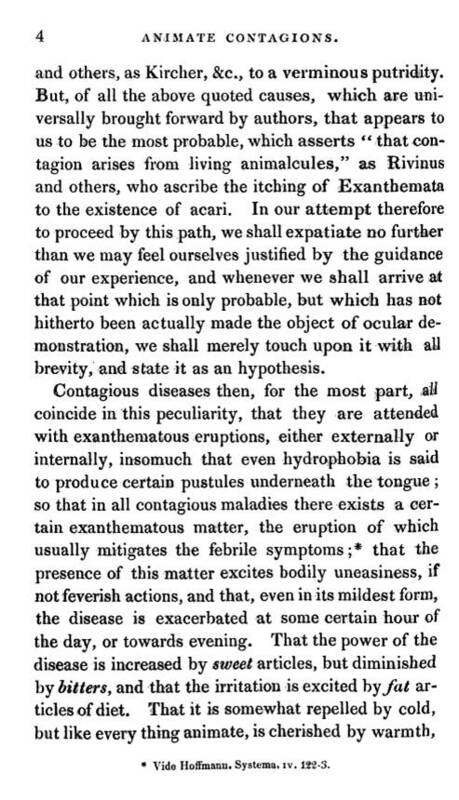 The animalcule theory of disease preceded the bacterial theory by a century. 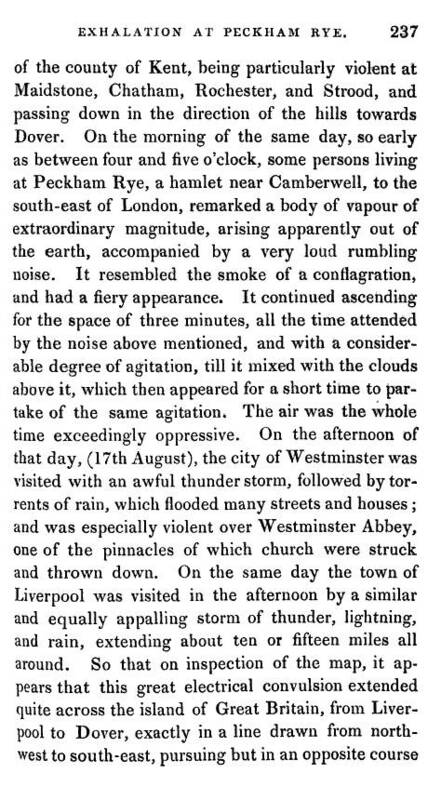 It was a product of frequent encounters that people had in an attempt to better understand nature. 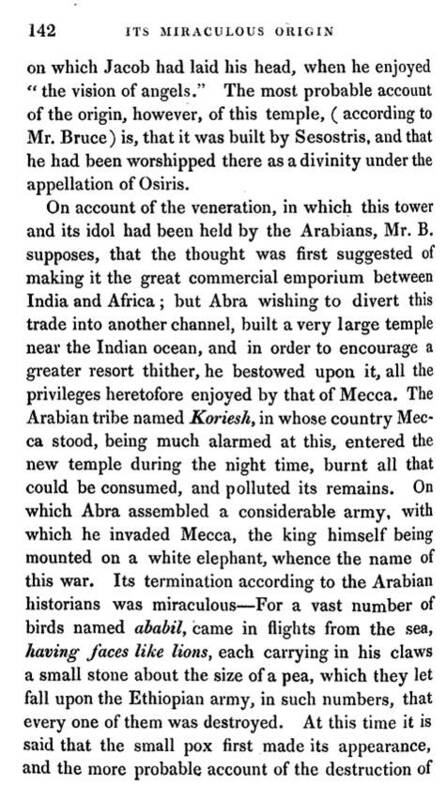 The -cule had its own way of becoming and being during the earliest years. These small creatures didn’t evolve into what they are. They were spontaneously born from a speck or particle of substance in the air. Symbolic of the egg, that substance was too small to be as complex an object as an egg. Its shape, form and parts were too little to know or deduce, too little to pay much attention to. Some already knew that the sperm of life contained that vital force needed for its target the egg to become a living being. The animalcule must have had the same natural history underlying its heritage in order to become what it became under that magnifying lens which we observed it with for the first time. One could take a clear glass of water back then, removed from a local pristine lake in the early spring immediately after a thaw, and set it aside on shelf for a brief while, receiving indirectly the rays of the sun, and twenty four hours be alive with numerous organisms barely visible to the naked eye. These organisms made the water cloudy, and a day later cause it to display a slight putrescence as the organism began to die off in large numbers. Then, almost in plain view of the most patient observer, one could sit there and watch as hour by hour the water changes from transparent to translucent, to very grey and filled with particles when help up to the light, to opaque and riddled with a stench of dying decaying matter once beaming with living, active particulate matter. For much of the 1700s, the animalcules were objects of admiration by those willing to search them out. They also gave some writers a sense of meaning of life, suggesting life was not a thing that required much size or mass to be that active. Even the smallest of things were alive according to some writers and philosophers, suggesting that life itself was something totally different than plain matter. This realization that life in an object was just as strong for small objects as it was for big ones like ourselves, or the body of some large animal like the elephant or whale, made many admire life for what it is–an invisible force of nature that had to be contended with no matter what its size, density, or behavior of the object that it ultimately possessed. On and off throughout history, scientists have struggled with the question as to whether or not to accept this vital force theory that lie out there in many forms. This energy, force, spirit, what have you, was an invisible, unweighable, incalculable material with neither volume nor mass that could not be adequately explained by science. Scientists would try to take hold of this mystery be defining new hypotheses to help explain its presence and whereabouts, but they always failed in the end with these new theories. Just when they thought they had figured it out, some new finding would surface to bring them back down to their reality, reality as they were originally taught as to how it exists and to the consequences of what they became because they grew up within it. Philosophers were the only experts in life’s force. Science was always a failure and so too were its scientists, at least many of those who believed in the spark of life felt this way about their critics, the first “atheists” of the New Age, Age of Change, Age of Spirituality and Revival a new form of natural philosophy to the strongest followers of this metaphysical movement. 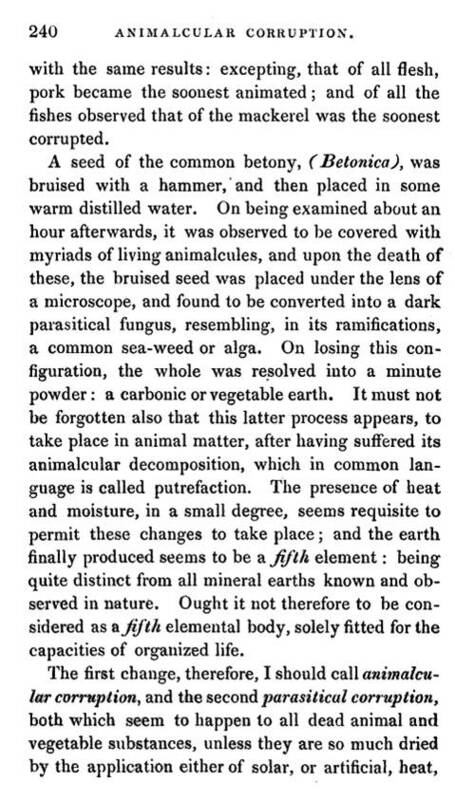 Everything discovered by science and scientists had its interpreters who believed it was proof of the flood, and their counterparts who felt it proved that the earth was slowly transformed by nature’s volcanoes, earthquakes, hurricanes, meteors, comets, and storms. There were those who interpreted all of nature as evidence for the deluge, and those who came up with the theory known as called Catastrophism, to counter the biblical cause for the deluge. 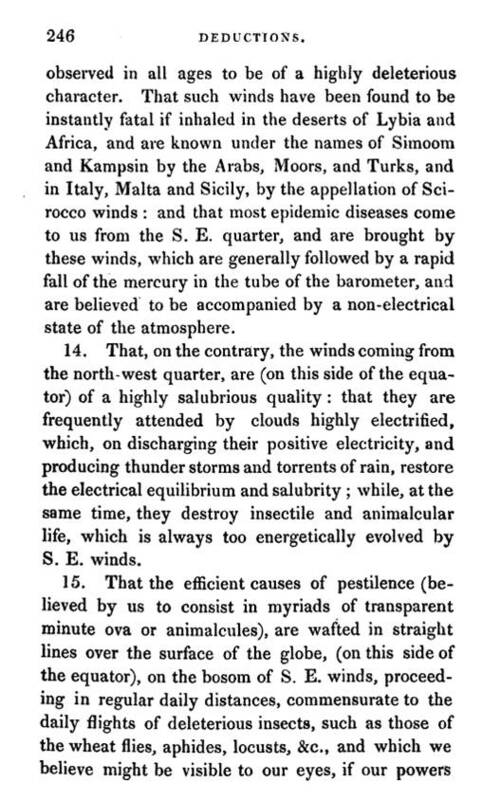 Such believers still exist today, and are always coming up with new proofs (see writings about Black Sea deluge, modern flood geology, and then read this part of Thomas Burnet’s 1698 writing, The Theory of the Earth). Whenever science and religion met face to face with each other for a short while, they managed to form a temporary following, allowing at least two more lines of new thinking to develop. The original traditionalists did not wish to believe in any but that which exists in view of the observer and has a logical line of reasoning attached to it, versus the imaginative speculator who came up with a theory that often could neither be proven or disproven about what life is. 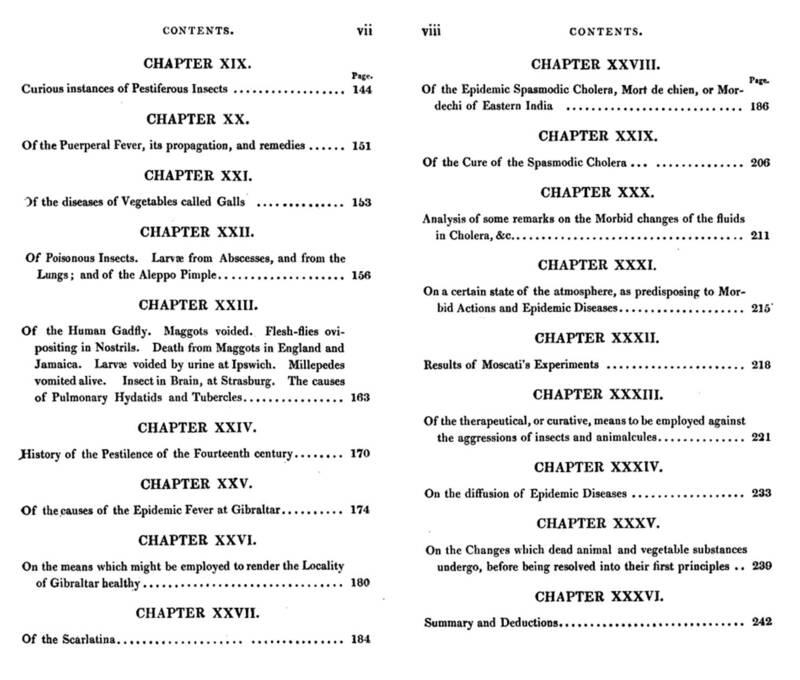 When each of these entered into certain parts of the field and art of medicine, the consequences were also at least two forms–the natural philosopher’s route of action based on theoretical more than physical materialistic evidence, versus the metaphysicist’s route in which proof did not matter except in some experiential way–the existence of examples of claims to be true was all that was needed for metaphysical physicians to believe in what they were teaching. In American medicine, we find a temporal and a spatial aspect of these two kinds of beliefs helping to form the country. There were those people and physicians who believed in the metaphysical components of their skills and practices, and there were those who believed medicine was natural in terms of how and why its events happen, claiming that there is no other way or reason as to why and how medicine works. The American doctor applied his physical cures as a physicist or expert in physics so to speak. The physic or strong laxative in medicine symbolized the way in which medicine worked, by expelling the illness from you in whatever way was visibly and “physically” possible. Medicine practiced in this way was always focused on the physics of health not the metaphysics of health. 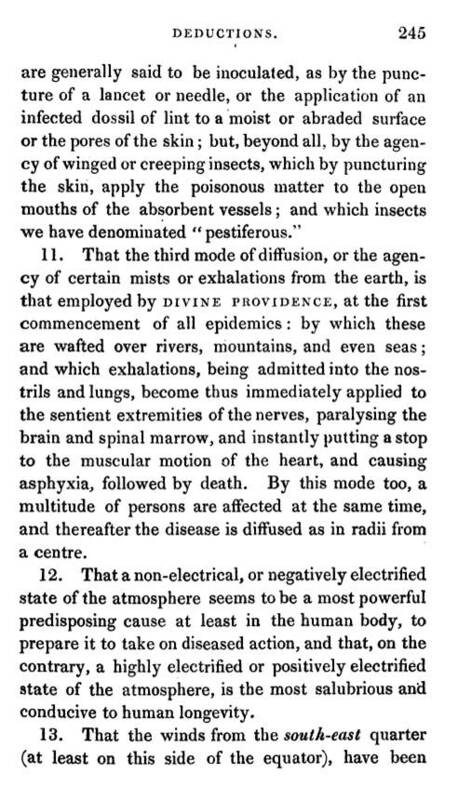 In the very early 1800s, vital spark theories filled the minds of those bored by the unchanging claims and practices of doctors skilled in the sweat, vomit, physic, narcotic and proper use of lancet. The “old school of thought” in medicine was either that form of cure practiced by the older physicians raised on some sort of 17th century metaphysical philosophy–the “antients” as one apothecarian of this time referred to it, or the product of the “modern” form of medicine in which new energies and new powers were sequestered by the healer and made a part of his personal practice skills. Even the most classical of American traditional medical teachings had some physicians who were open minded about natural forces and healing powers. It was through this query into nature that the scholars of Harvard taught Caleb Child how to become a medical electricians. These same professors initiated the humanitarian group devloted to the use and practice of the newly discovered resuscitation healing skills for drowned victims. In line with this ideology were also the practices of the Quaker, a physician of which openly risked the use of opium in order to better understand its impacts on the mind and individual as a living being, not just the body and its part. So there was much to learn about the mind, body and soul, much more than Descartes had implied to the practitioners more than a century earlier. 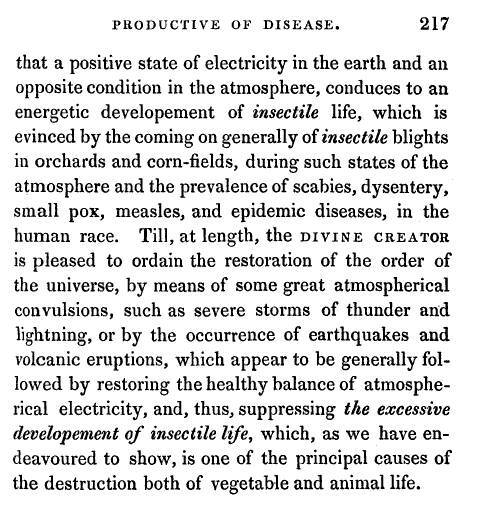 if we wish to only focus on the widespread belief in the animalcule, then we could safety say that it was sometime around the late 1820s or early 1830s that this theory for disease had its first significant following. 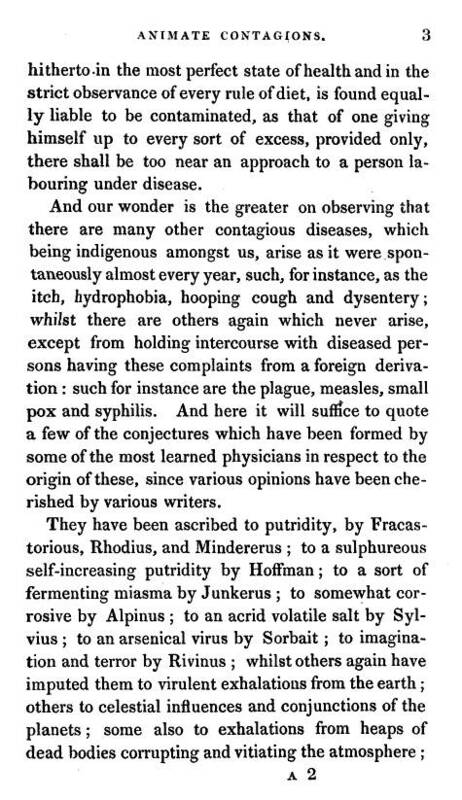 We know there were those doctors devoted to animalcules as one of several causes for disease due to the writings on Asiatic cholera that were published from about 1849 to 1855. 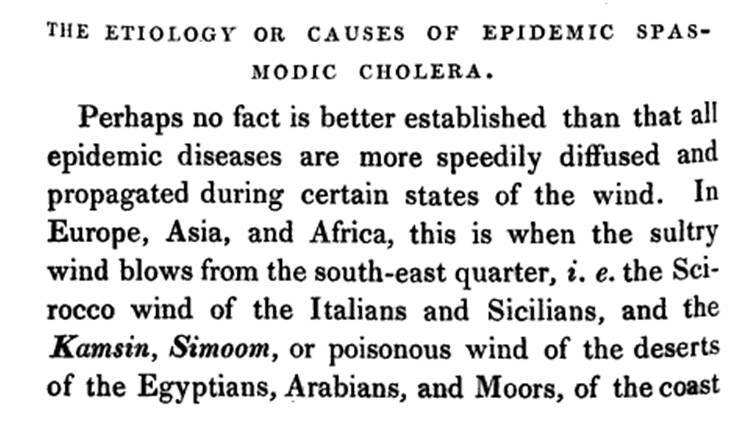 The hundreds of American doctors providing their own theories as to the cause for this new plague–Asiatic cholera–often included ecological views of animalcules in relation to disease prone areas. 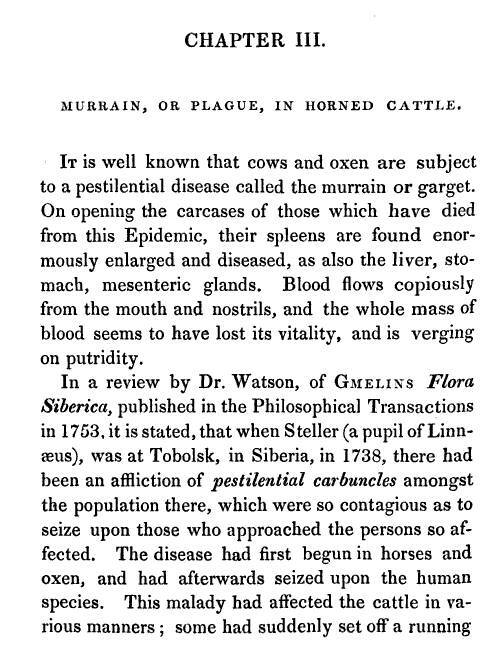 No one could find an actual animalcule directly responsible for this form of cholera in America (cholera is used to refer to any of a number of kinds of fatal diarrheas), but substantial proof was out there suggesting that well localized animals were one possible cause for these outbreaks. 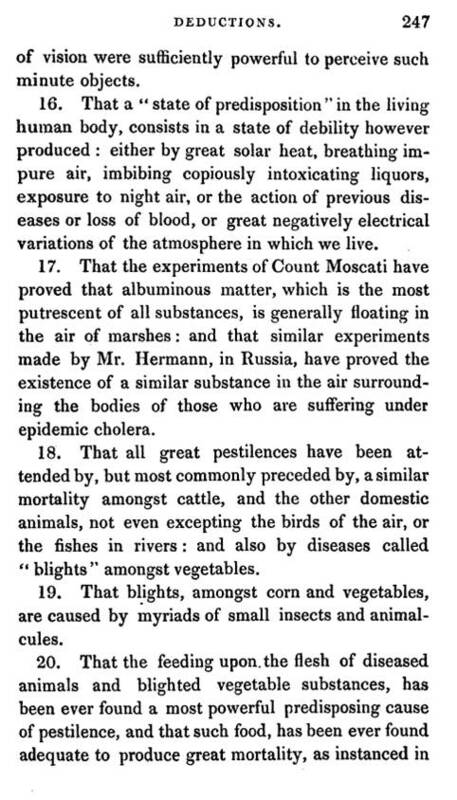 These articles often included the mention of animalcules as a possible cause for diseases in general as a part of their writings on the disease and its behaviors in different environments. 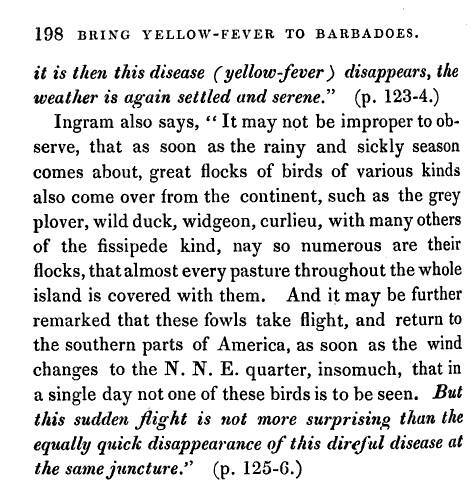 Geography and the animalcule became an important aspect of this view of disease as evidenced by history being summated by this book and various books on climate, the tropics and disease. 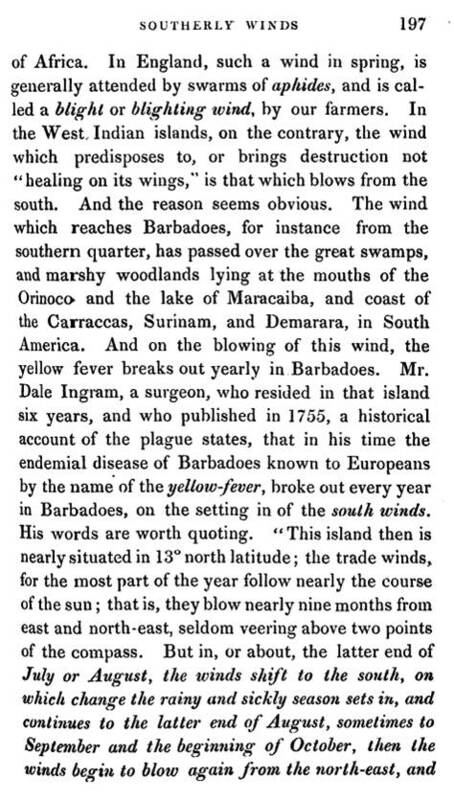 The warmer parts of the world were blamed for many of the epidemic diseases striking non-tropical regions. 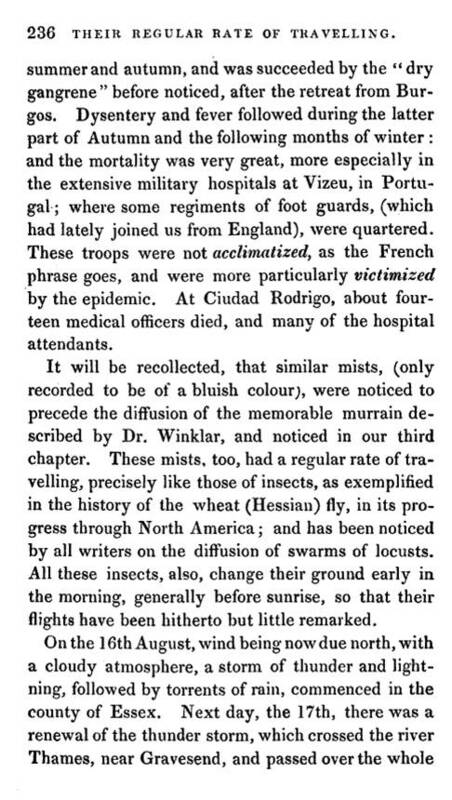 The intestinal worms of African and Guinea, the flies, lepidoptera, and ticks residing along certain riverside and woodland settings, the maggots and vermin residing on decaying carcasses were all factors that supported the philosophy that disease was due to these minute organisms ranging in size from the locust and Hessian fly to those barely visible to the naked eye. Each of these organisms had an environment it could naturally reside in. 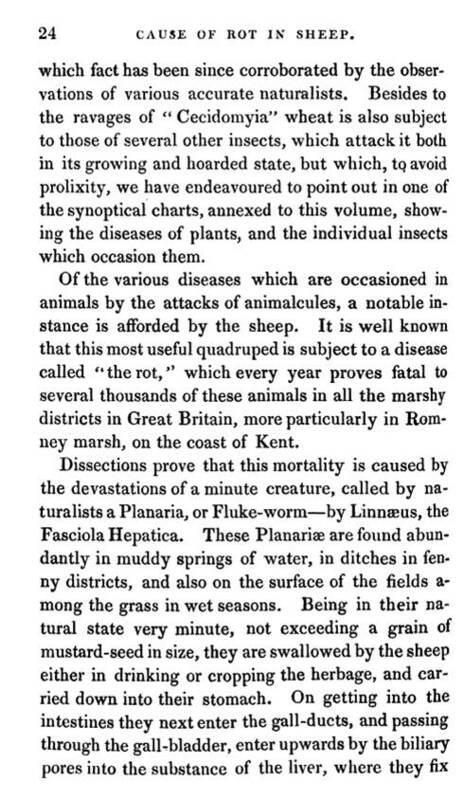 To best understand how and where these organisms existed and where thier diseases were manifested, one had to turn to the popular philosophies of medical topography, medical medical climatology and medical geography. 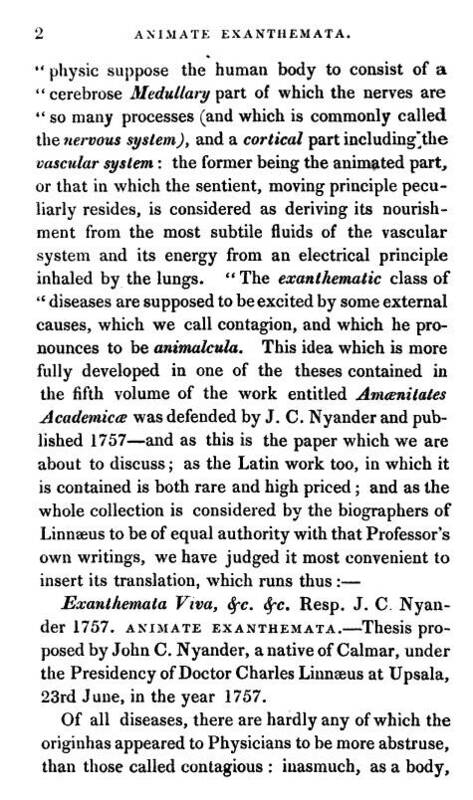 To better understand the early versions of the animalcule theory, we need to go back to a century earlier and the works of Lancisi. 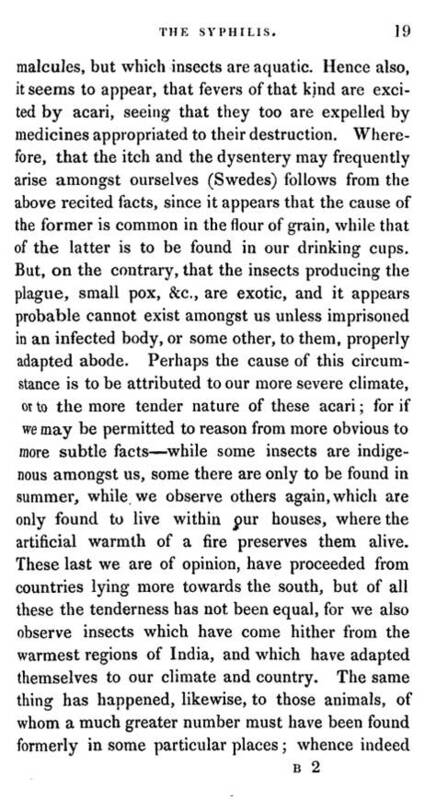 Lancisi wrote about the possible causes for disease as being living organisms. 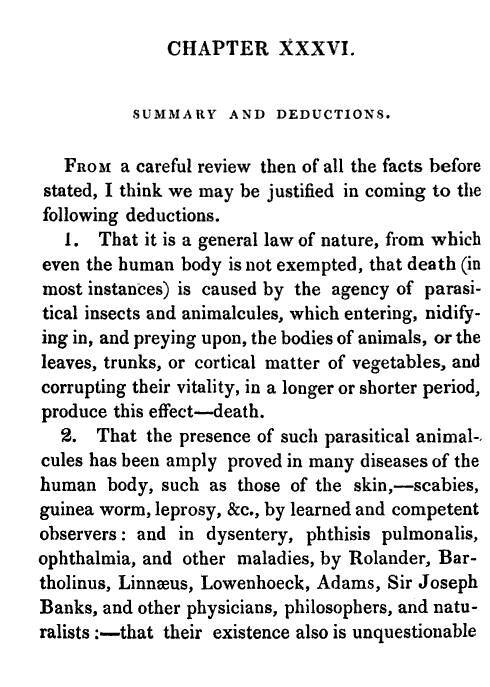 This was one of many philosophies out there at the time for disease, and had numerous others to compete against ranging from remnants of the old humoral theory, to its opposing philosophy of solidism, which claimed that diseases were a result of the organs fed by blood, to the alkaline theory, to the the caloric or heat theory, or a number of versions of the vital force theory, or an early rendering of the telluric theory which claimed that the earth’s geological makings and their features caused disease, etc., etc. 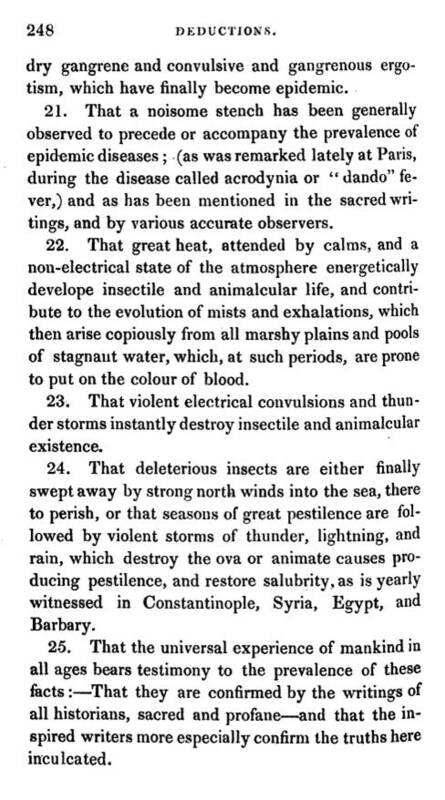 until finally the miasmatic theory for disease, which claims that exposure to an unidentified substances in the air, produced by swamps, volcanoes, meteor crashes, sulphur springs, etc. 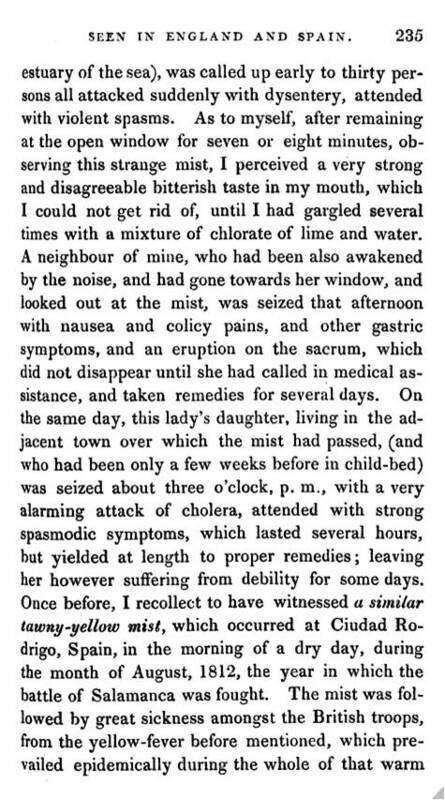 emitting an effluvium, gas of otherwise obnoxious substance that caused a body to become ill.
During the 1730s, as throat distempers struck some of the colonial communities, this pulled together into a single group what today we know are vastly different diseases like common and uncommon sore throat, the mumps, and diphtheria. Metaphysical philosophies were used to tie these diseases together into a common cause, with increasingly severe effects and chance for fatalities. The same thinking could be applied to the various fevers, diarrheas, sweats, and skin changes common seen with diseases of varying form. Saint Anthony’s Fire, turning the skin deep red with the sense of fire, could be due to a poison or toxin like ergotism, or due to an unknown organism, later differentiated by the name erysipelas. 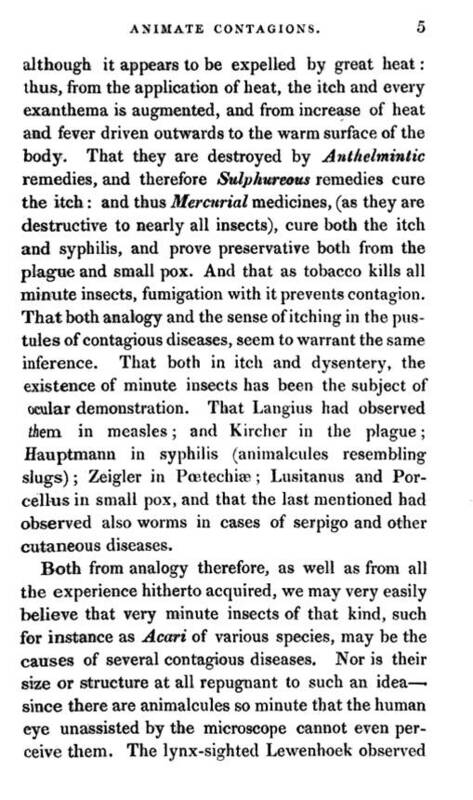 Throughout the 1700s, symptoms, writers’ impressions, and the effectiveness of particular cures was what really dictated what kind of disease existed, theories related to poisons, viruses (which had a different concept back then), phlogiston, miasms, etc. It was these unknown, invisible elements that enabled certain metaphysical philosophies be merged with those philosophies for disease more focused on the physical world. One of the most unnoticed strongly examples of these events in medical history pertains to the well known invetor of the famous science of homoepathy Samuel Hahnemann. 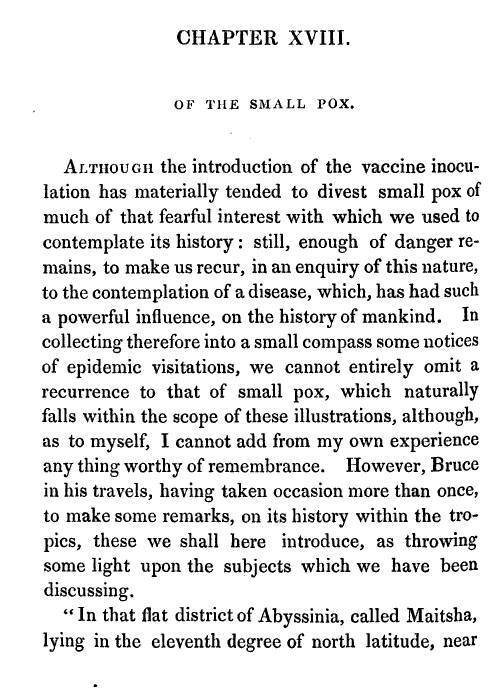 Hahnemann claimed in one of his writings that it is possible for exceptionally small animalcules to be the cause for illness. They could be travelling throughout the body causing symptoms to erupt, and as a part of this teaching, or paradigm. 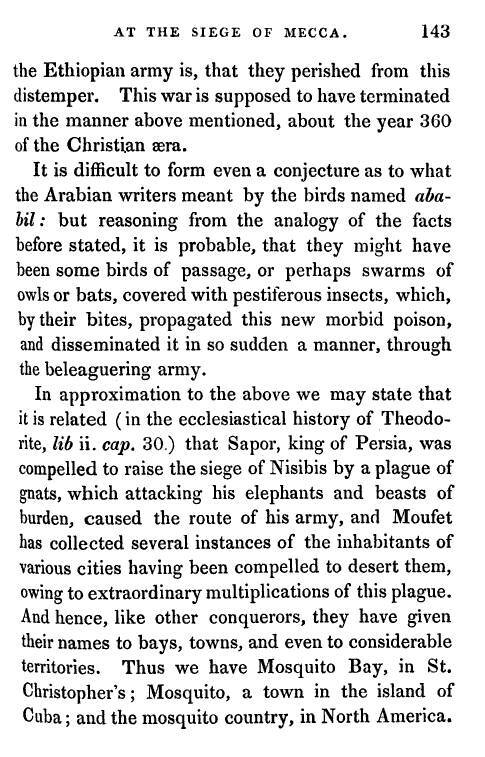 As he was posing to his followers, he referred to these pests as microscopic “winged animals” in one of his writings. But there were other types of organisms out there that could be pathological. 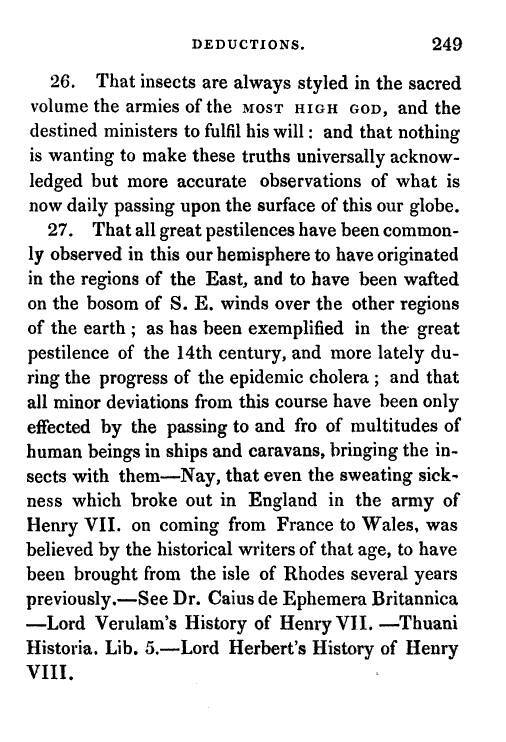 There was the theory of the virus, which was applied to certain endemic diseases, of livestock primarily. 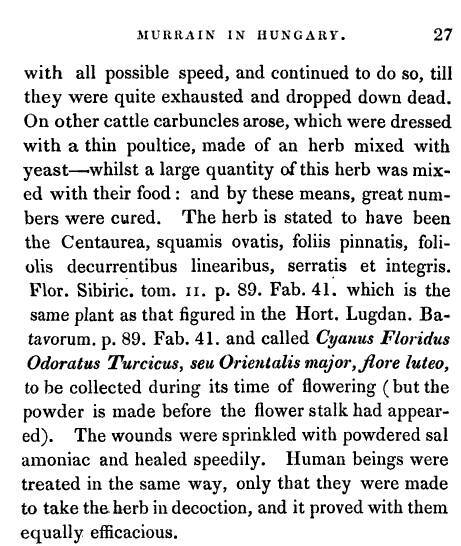 There was also the theory of the poison responsible for disease, with chemical interpretations of what the poison is, and analogical interpretations which claimed the posion was this as of yet unidentified substance crawling about the body causing its maladies. 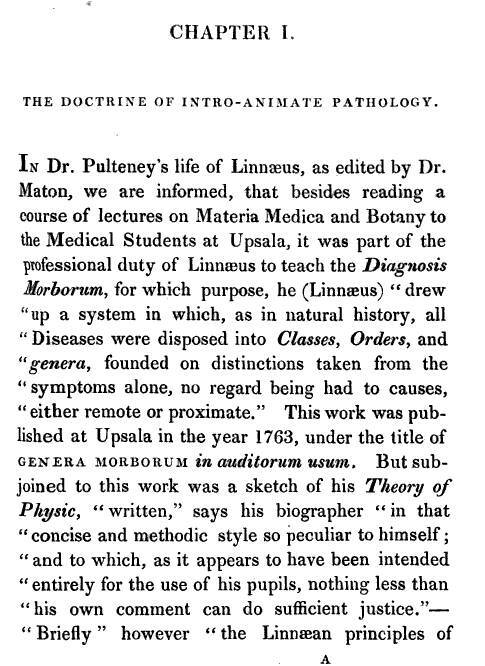 Nearly 30 years by the time this book on Intro-Animate Pathology was written, Samuel Mitchell’s theories of disease had experienced their own peak and by then were barely spoken about. 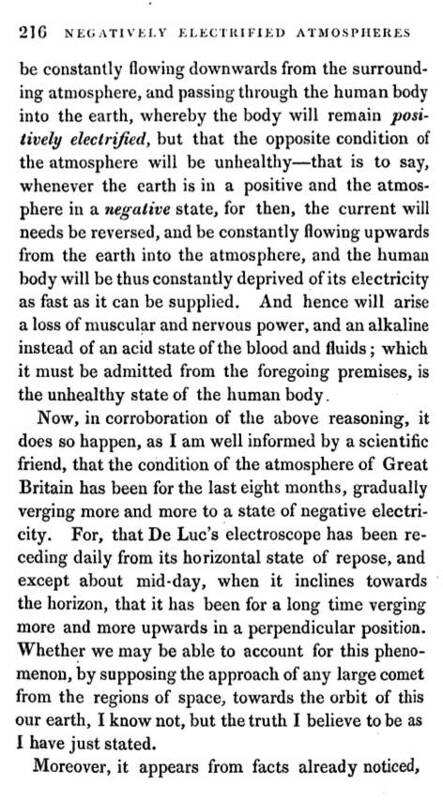 Mitchell’s parallel to the phlogiston of the mid-18th century, revived several times in the 19th century in other forms, was his theory for as substance known as septon (for sepsis). The septon was emitted by decaying, rotting organic waste, like the slimy weeks in a shipping port or the dead parts of carcasses thrown out by the local butcher. 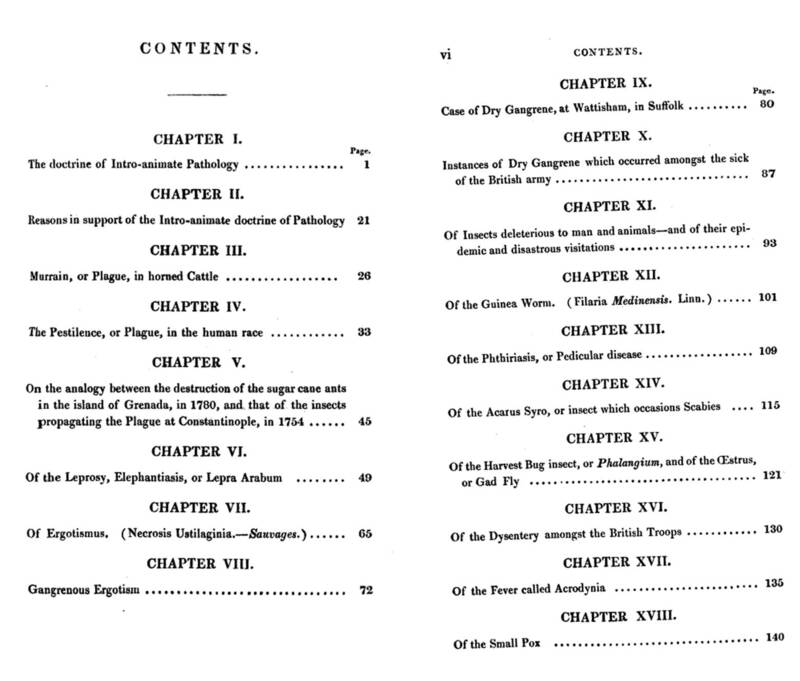 Septon was popular from about 1800 to 1815, and was replaced by more detailed and fairly complex, extremely variable forms of decaying matter, and terms like effluvium came to represent materials emitted by the body of someone ill, or as a result of decay of garbage and debris, whereas miasma had come to refer to something more generic and purely environmental in nature like swamp gas or volcanic sulphur gas. 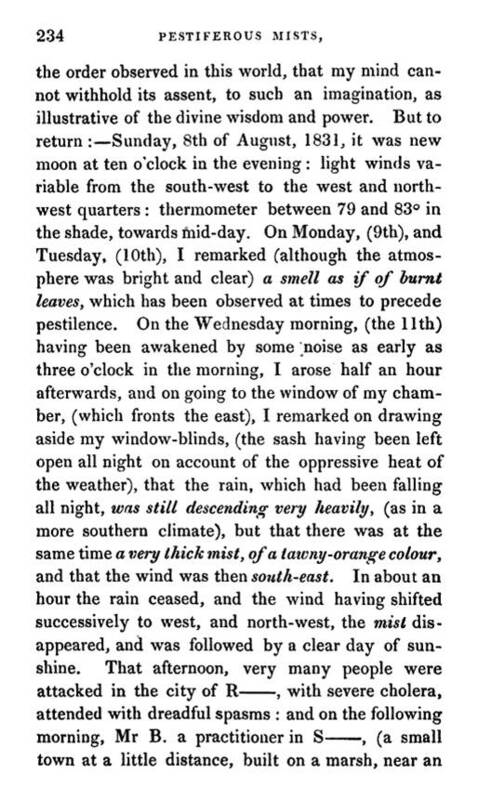 In between all of this arguing about the terminology, there was the koino-/idio-miasmatic theory of the 1805 to 1815 period, with idiomiasma a term used to refer to that effluvium emitted by the ailing body, and koino-miasma the smells, odors, gases and other invisible substances emitted by natural features like swamps, etc. 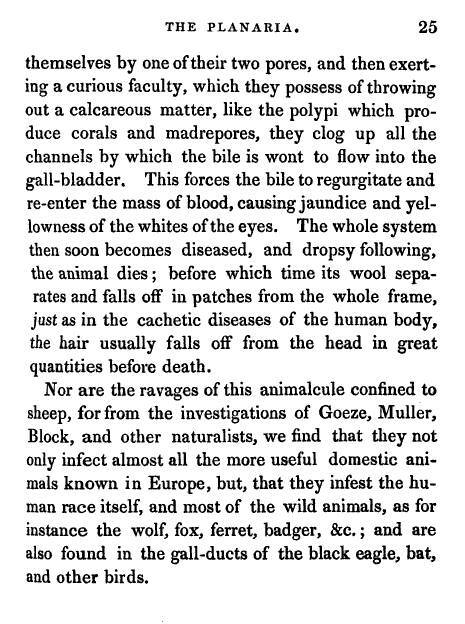 Amongst all these beliefs that nature produced a phlogiston, magical chemical or gas that caused disease was the growing interest in this animalcule theory for disease. Unlike the opther pathogens, the animacules was a living organism, inferring that disease was a smaller organism impacting the life of larger organisms. 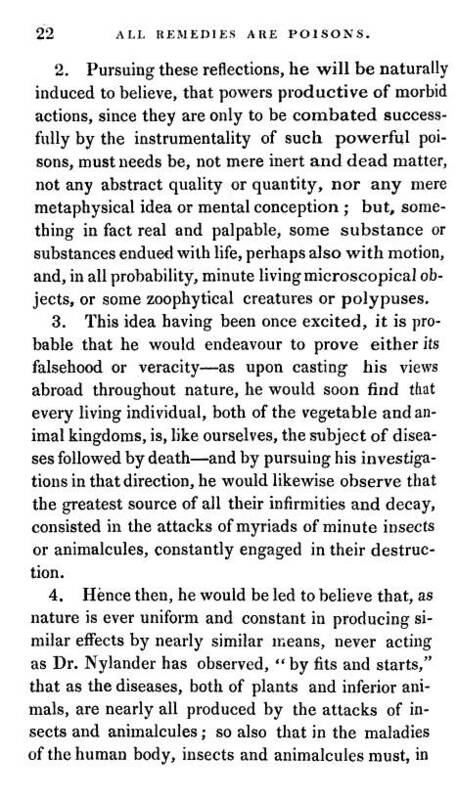 This ideology fit very well into the thinking produced by Linnaeus of the late 1700s to very early 1800s, and Erasmus Darwin, a biologist and taxonomist of everything natural, the grandfather of Charles Darwin. Before Charles Darwin came up with his own evolutionary theory, Erasmus’s philosophy was the most popular belief system of scientists devoted to nature, her complexity and her need for a more detailed understanding. 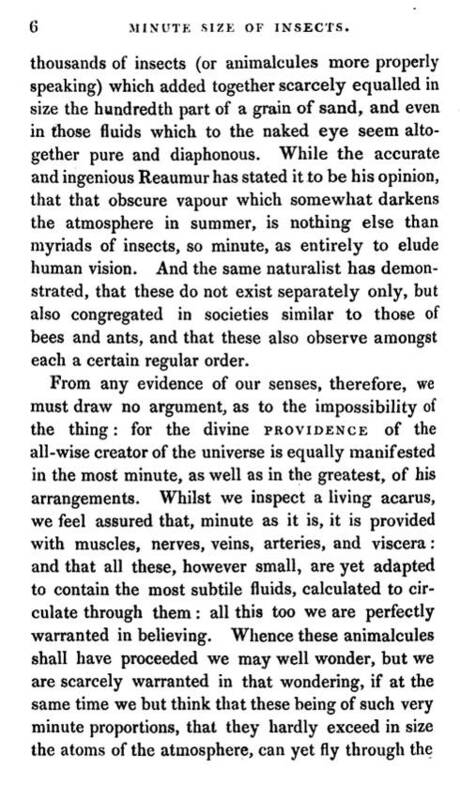 Erasmus Darwin’s followers applied some of the vital force notion to their philosophy–life is life, be its extremely small and invisible or be it large. Since the very small living beings were just as alive and the large animals, these small animals served as much respect as the larger ones, and had to be reviewed as a parto of the relationship the human body has with its surrounding physical environment. 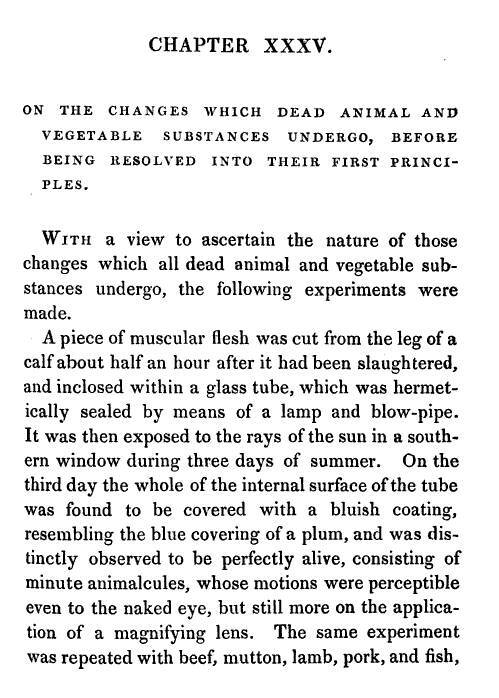 The entry of an animalcule into the body was considered the cause for many disease. Even the invisible flying insect could make its way into our lungs, or sinuses, our blodd, and create disease either directly by their presence, or indirectly by creating a change in the physical structures surrounding where they lived. 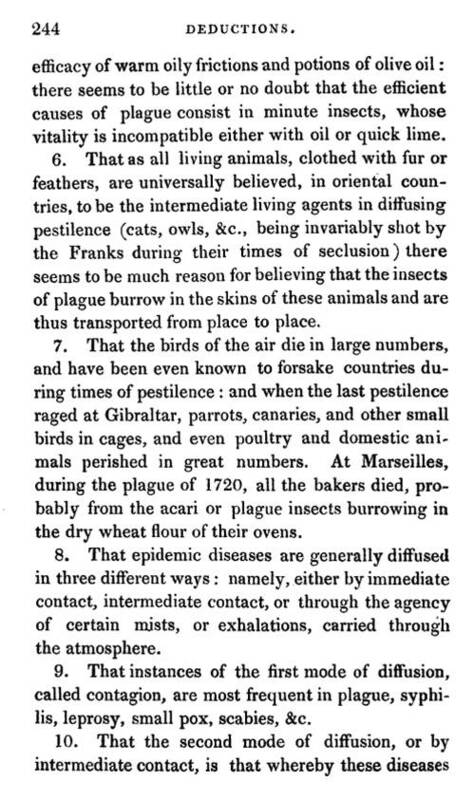 This book details animalcules in this same way, and due to the popularity of medical geography by this time, probably left more questions to be resolved than anything like a more completely answered set of questions about a particualr disease. Diseases that today we know are associated with viruses, animalcules, bacteria, and poisons were included into this paradigm on pathogenesis. Even though the paradigm is wrong, it enabled several new fields of research to be born or promoted. This philosophy resulted directly in the research of parasitology. It also helped further differentiate large animacule diseases, from small animalcules diseases, from poison or toxin, from human body or blood chemistry induced disease. 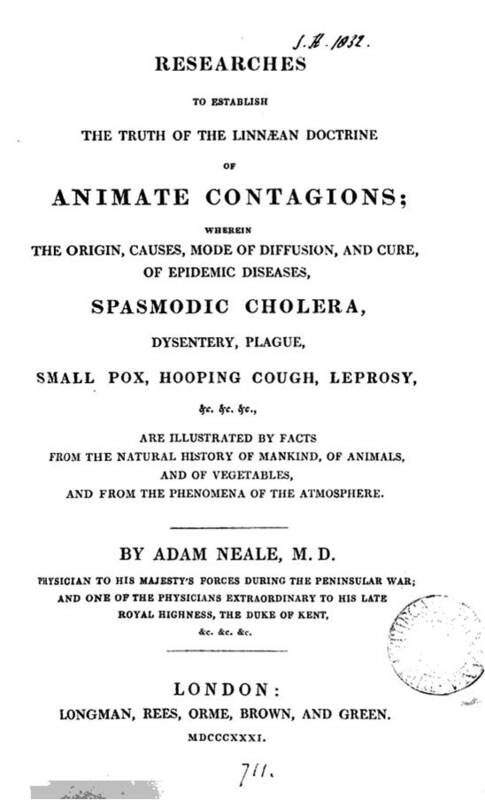 In this book, the malnutrition-induced goiter, new guinea worm, and vibrio-induced cholera were grouped together with the mosquito-driven yellow fever, tick-generated diseases, and the highly infectious virally-induced measles and small pox. 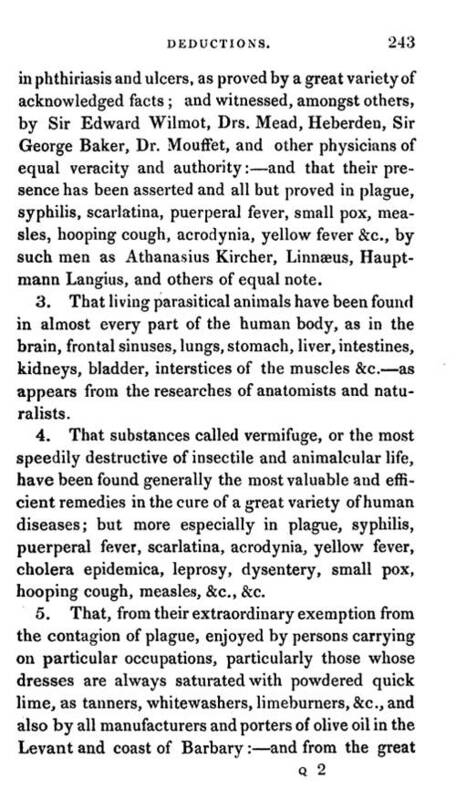 These human based diseases were in turn linked to the diseases of livestock and wildlife produced in much the same way by just as many animacules of various sizes, shaped and forms. 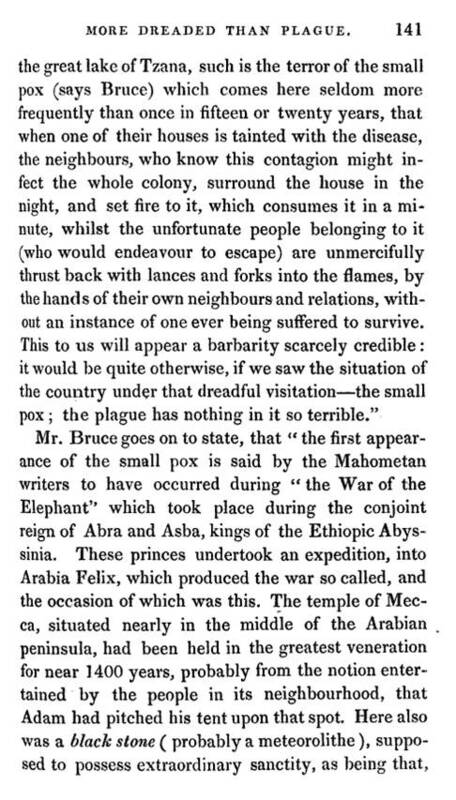 This writing also brings up the point of the fascination medical historians have had with the development of the bacterial disease during the late 19th century. 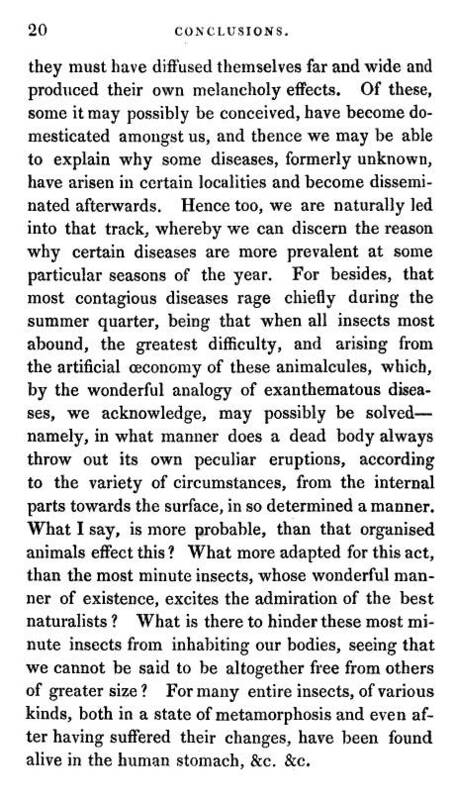 The bacterial theory is a natural offshoot of the animalcule-viral theory so popular throughout the 19th century. 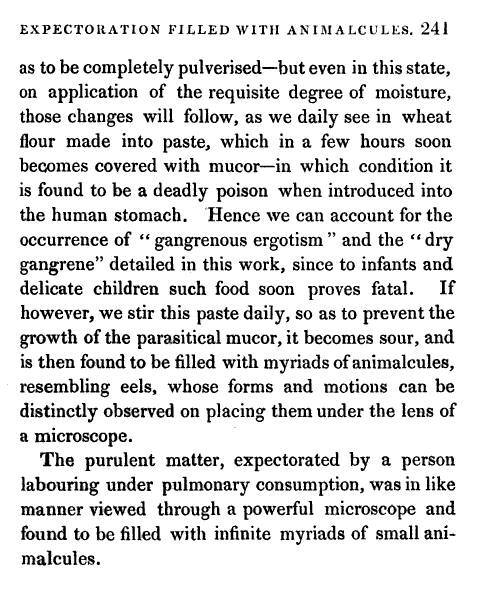 Yet most medical historians failed to cover the discovery of the bacterium as a simple extension of a number of ongoing developments in medicine throughout the nineteenth century. It is possible that regular medicine missed this point due to its fixation of past practices that were against the general theories circulating out there about life, vitality, life force, vital force, etc. Blood-letting and restoring the “force” are opposing practices. 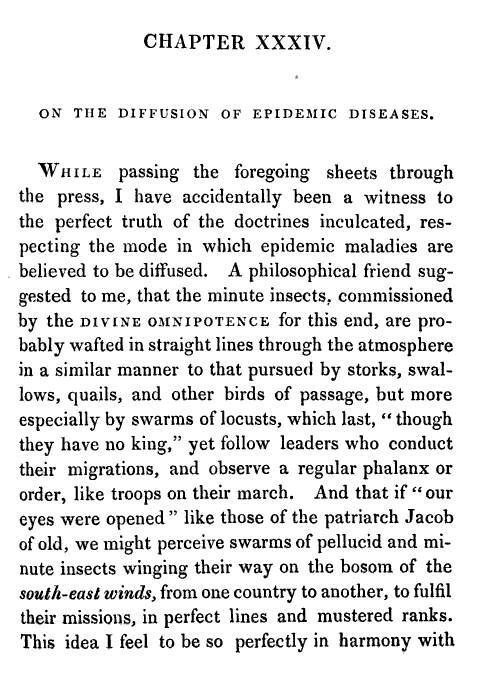 It took the Civil War, the discovery of antisepsis, and the discovery of still much smaller animalcules than the round worm to allow physicians to make sense of all the environmental theories out there already for the biological or lifeform-generated causes for disease. 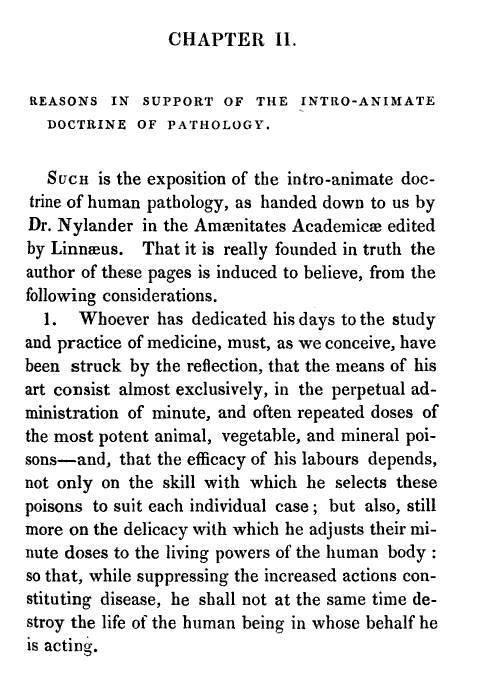 The ecological interpretation of disease produced by the animalcule and Intro-animate pathology theories were subsequently replaced by a 180 degree change in focus, away from the environment, and just into the human body. 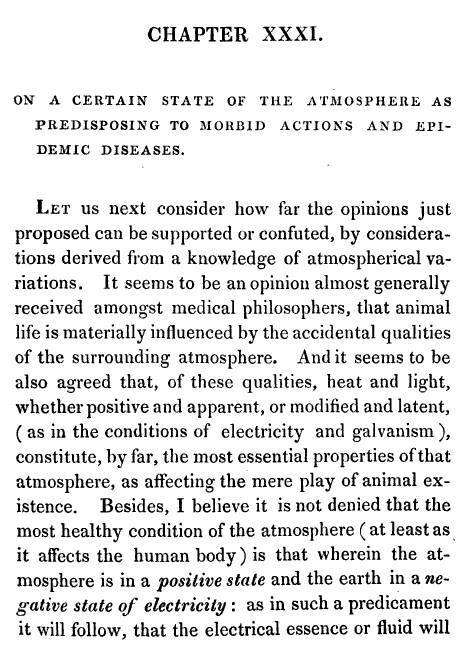 The environmental theories and concepts for disease produced by earlier medical geographers were subsequently lost due to this microscopic, microbiological, anthropocentric view of disease, at least for much of Western European medicine. 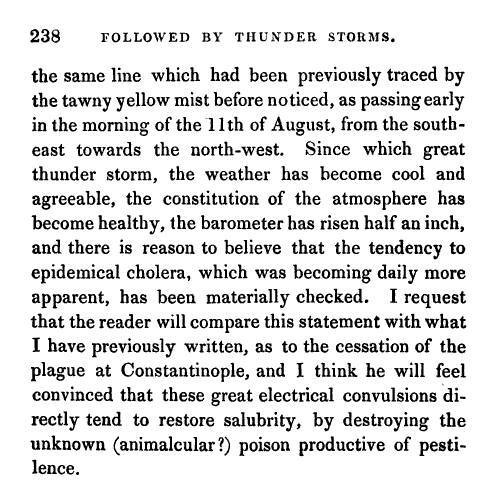 As noted elsewhere in this section, the Eastern European interpretation of disease as an ecological, environmental consequence of human-natural world relationships was perpetuated by the famous USSR/Russian geographers of 1840 to present.